Smart pills are ingestible medical devices consisting of elements such as sensors, cameras, patches and trackers that help in better diagnostics and monitoring. These unique devices can be easily swallowed and offer a non-invasive thorough examination of the gastrointestinal (GI) tract. The smart pills also enables comprehensive health monitoring of various physiological metrics and measuring medication adherence in patients. The below demo clearly indicates how to use the device to monitor your daily medicine intake. Smart pill technology has revolutionized the field of GI diagnosis. Smart pills are likely to replace conventional diagnostic techniques such as endoscopy and colonoscopy. Capsule endoscopy is regarded as a major technical innovation, influencing investigation and management of various small bowel diseases, esophageal disorders, colonic disorders etc. Capsule endoscopes are designed to provide complete examination of GIT including images of esophagus, stomach, small intestine and large intestine… The capsule endoscopy segment is gaining a strong foothold in the smart pills market. The capsule endoscopy is noninvasive and causes minimal discomfort. The magnification obtained, here is of the order 1:8, which is much higher as compared to the conventional endoscopy. Various capsule endoscopes available in the market include small bowel capsule, colon capsule and esophagus capsule endoscopes. Small bowel capsule is the most commonly used capsule endoscope in patients with acute gastrointestinal bleeding or to detect symptoms of active Crohn’s disease (CD).On the other hand, esophagus capsule endoscopes are used to diagnose esophagitis and Barrett’s esophagus. Companies today are focusing on exploring the field of gastroenterology. Recent studies by various researchers to develop products have enabled clinicians to obtain clearer & better images of the GI tract which offers new hope for gastrointestinal cancer detection. Recently, researchers from Chinese University of Hong Kong, have developed an advanced endoscope known as ‘Tadpole Endoscope (TE), which mimics the movement of tadpoles’. TE is different from existing wireless capsule endoscopes since the presence of a soft tail enables it to be guided around the GI tract remotely by a clinician. This allows for better imaging of the stomach and thereby helping in the accurate location of problems. Recently in 2014, Given Imaging Ltd, a pioneer of capsule endoscopy received FDA clearance for PillCam COLON. The device provides new modality to ensure clear visualization of the colon in patients following incomplete colonoscopy. According to some recent studies, incomplete colonoscopies occur in approximately 750,000 patients in the United States alone every year. The number is further higher in women due to an increase in past pelvic surgeries. There is a growing demand for such devices among patients having long case history of abdominal surgery or advanced stage of diverticular disease. This non-invasive test enabled by PillCam COLON allows more people to get screened for colorectal cancer, and gives a minimally invasive, radiation-free option. These devices in the market have revolutionized colorectal cancer diagnostics and screening market worldwide. 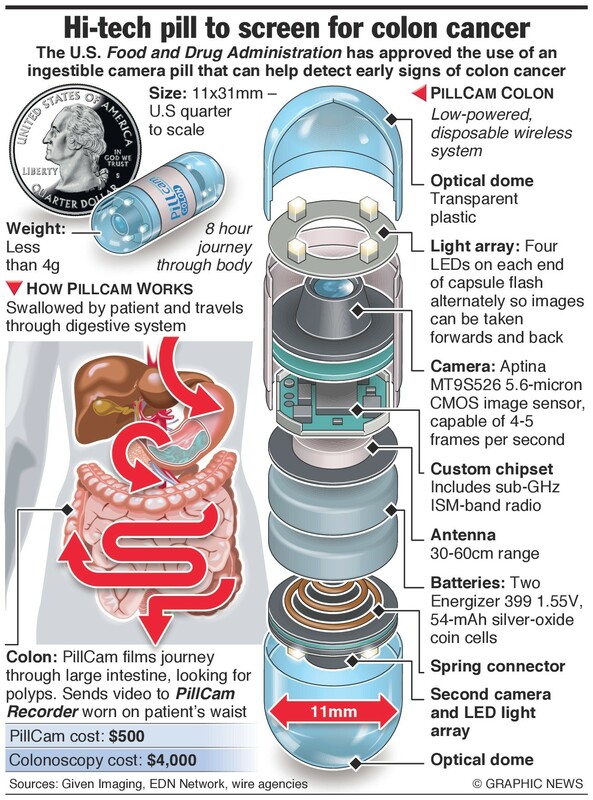 The following infographics shows how the product PillCam COLON works. Another key application of smart pills is patient monitoring that includes monitoring of parameters such as pH, temperature, pressure and drug adherence in patients. According to the World Health Organization (WHO) estimate, over 50% of us fail to take medicines correctly, while over 50% of drugs are prescribed or sold inappropriately. This leads to disastrous consequences, resulting in significant complications and deterioration of patient health. 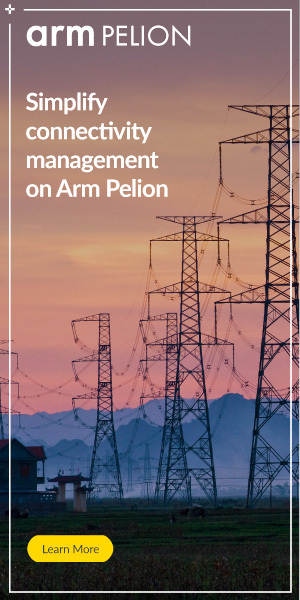 The situation aggravates with ageing of patients, since they often require management of one or more chronic conditions with multiple medications. The trend may also cost healthcare providers millions every year. Using Technology to Increase Medication Adherence from Timothy Aungst, Pharm.D. To deal with such non-adherence in patients due to various reasons, Proteus Digital Health, Inc. California-based Proteus Digital Health and Otsuka Pharmaceuticals have developed smart pill having an ingestible sensor. The digital pill is first of its kind to be approved by the U.S. Food and Drug Administration (FDA) as an aid to measure medication adherence. The new drug application accepted by FDA was for an oral tablet that combines Otsuka’s branded antipsychotic Abilify (aripiprazole) with an embedded ingestible sensor device developed by Proteus Digital Health The ingestible device consists of minuscule sensors made of silicon along with metals-magnesium and copper, present in traces. The device gets powered on when the metals come in contact with stomach acids thereby triggering the sensor to generate signals that can be picked up by a disposable bandage-like patch worn by patient. The patch relays information to a mobile phone application. The following article shows how clinicians will use FDA approved digital pill to monitor patients and facilitate effective drug delivery among them. There are many research studies done by market research firms which tracks the current and future market trends along with offering an insight into the key drivers and growth opportunities of the market across major regions. As per a recent report by Allied Market Research, the smart pills technology market would reach $627.1 million, globally, by 2020, registering 21.2% CAGR during the forecast period 2015-2020. 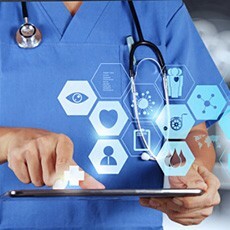 In future, technological advancements to enhance the features of smart pills such as non-invasiveness, patient convenience and real time monitoring would drive their adoption rate in patient monitoring, diagnostic imaging and drug delivery.